If you say that people you know are bumptious you are annoyed with them because they are too proud of their abilities or opinions: they are full of themselves. A skittish person or animal is easily made nervous or alarmed and is likely to change behavior quickly and unpredictably. To be timorous is to be fearful. Someone is tremulous when he or she is shaking slightly from nervousness or fear, or is simply afraid of something. The loud and vociferous crowd yelled out for more. The concert had been a huge success, with the band encouraging the vociferous input of the increasingly noisy crowd. Smart audience members chose to wear earplugs to combat the terrific din of the vociferous fans. Once the concert ended, the noise level remained high, as everyone vociferously exclaimed about the great show of the band Quiet Riot. Quiz: Try again! How is someone acting if being vociferous? He is being abusively loud and argumentative. He is being swayed by the thoughts of others. Vocal Ferris A vociferous Ferris Bueller vociferates on how to fake out parents. One who is vociferous “carries or bears (her) voice” in order to be heard. 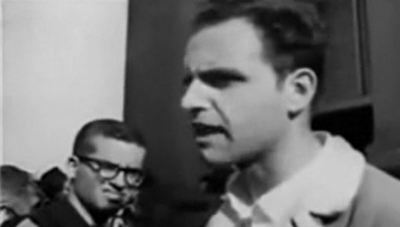 Mario Savio Sproul Hall Speech He vociferously states his opinions.